Lake Orta is a small lake to the west of Lake Maggiore. It’s a weekend getaway for the Milanese, Torinese and Italians who don’t want to go to the more touristic and popular destinations, and that suited us so well. From Lake Orta, you can easily access Lake Maggiore and the Borromean islands which are all worth the efforts. This part of our trip was about seeing the Borromeo Islands. There are hotels more convenient to the port and access to the islands however our style is finding something special or unique, and that we did. 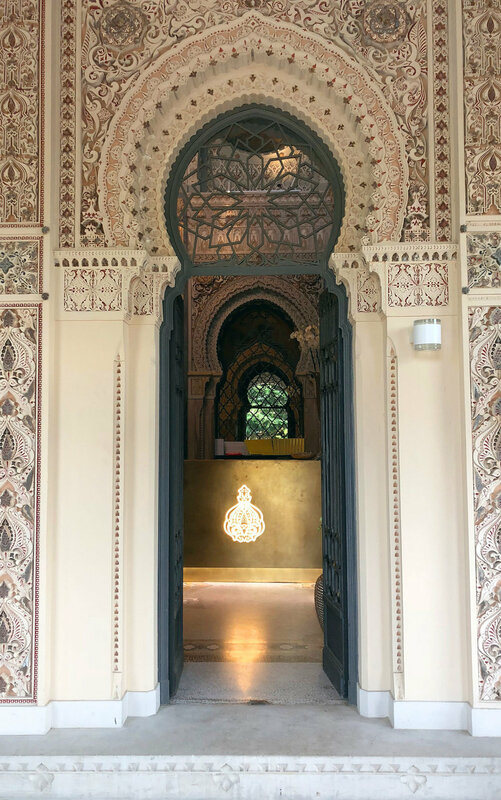 Our home base around Lake Orta was Villa Crespi (https://www.relaischateaux.com/us/italy/crespi-piemonte-orta-san-giulio), a Moor-inspired villa in Orta San Giulio. The Villa Crespi website mentions that you can access “magnificant Italy” easily from its location, and that is no falsehood. The Villa is situated above the lake among a lush landscape. 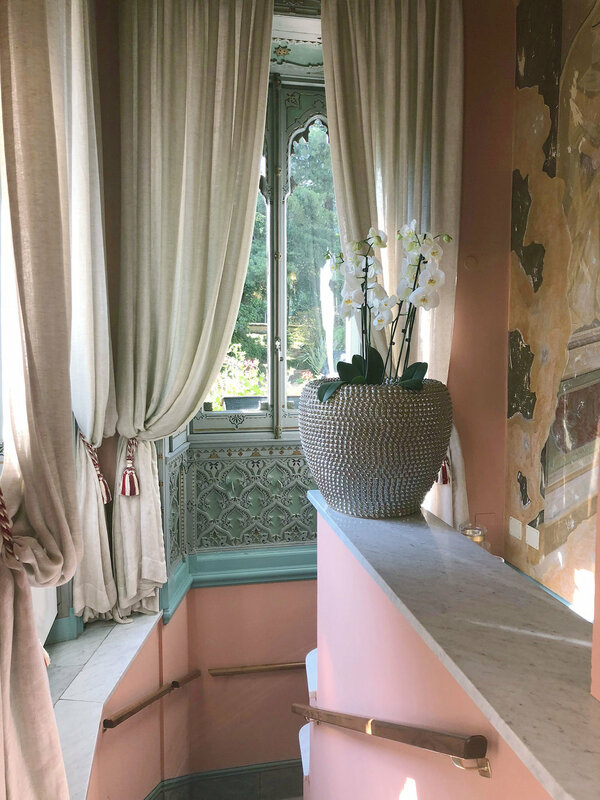 Rooms have views of a distant lake but the view becomes secondary to the architecture and experience of being a resident at Villa Crespi. Our days and nights were flawless; the property, rooms, staff and hospitality could not have been better. 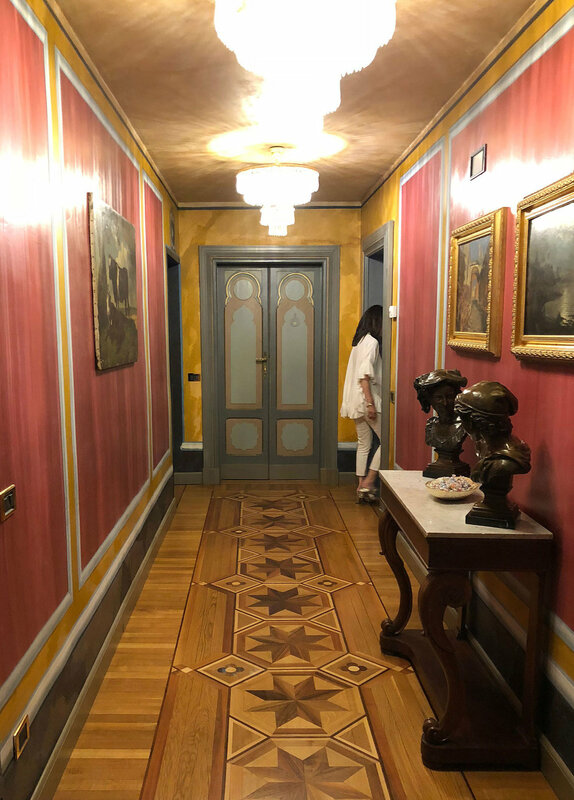 Note: The access to the Villa Crespi is right off the round-about in front of the hotel - do NOT go down the narrow road adjacent to the hotel. At the town it becomes pedestrian and residents only and there is no where to turn around. It’s a challenge to reverse up the road if pedestrian traffic is heavy. A 30 minute drive away, you find yourself in Stresa which is the access point to the Borromeo Islands (Isola Bella, Isola Madre, and Isola Superiore) as well as an additional easy boat ride to the Villa Taranto. The drive to Stresa is easy enough with GPS or with a traditional map. Stresa is a fun little village and definitely worth some time spent there. Please see our Field notes on visiting the islands. Locanda di Orta is in the charming village of Orta San Giulio. It hosts a small B & B hotel, with nine rooms, a Gourmet Restaurant, a magnificent Terrace Sky Bar, where you can enjoy, with the view on a panorama breathtaking, excellent cocktails and "snacks", ideal for a light lunch or aperitif. It’s an easy walk from Villa Crespi and after dinner a nice refreshing walk back to the hotel. The dining room at Locanda di Orta is unpretentious given the level of cuisine. It appears to be a small staff who are serious about food. We weren’t necessarily overwhelmed with hospitality, but we didn’t mind. The dining room and terrace are small and you can request a table on a single table balcony for added romance. The food was excellent and so was the wine pairing. It was efficient and no-nonsense. We liked it immensely - just straightforward excellent dining. A short ride to Verbania is Piccolo Lago with chef Marco Sacco. The view is STUNNING across Lake Orta at dusk and evening when the lights shine across the lake. It’s beyond beautiful and serene. Let’s talk about the food. We enjoyed this dinner immensely. Truth be told, it wasn’t perhaps as memorable as some of the other meals we had on our trip but we were tired and not too sure what to expect. The service was good, the wine pairings were very good and the food delicious. The dining room was sparse with the lake view being an overpowering focal point. It lacked a warmth and style that we expect from Italians. We wouldn’t hesitate to go back - it was good. I will say that the view stays with me even if the food has not. We had a nice 1/2 day walking around Orta San Giulio with its church, main square, lake front and side streets. It’s a charming little town. We found some fun items in the linen shops (beautiful tea towels, table linens) and the pharmacies. One of us has a total obsession with European pharmacies and those here didn’t disappoint: We found some beloved products and brilliant make-up “reading” glasses we hadn’t seen before which have one lens that flips between right eye and left eye to apply makeup to the opposite eye! BRILLIANT.